I hope you enjoy my first full-length CD, a self-titled album, on the Radian Records imprint. Released on November 16, 2015, I composed the music and lyrics to all of the these songs. The Now Band: Aaron Brooks on drums, Gabe Cummins on electric guitar and Kyle McCammon on bass, accompanied me on eight of the album tracks. 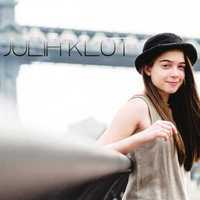 You can listen to my music and receive a complimentary download of the single off my newly released album, Truth Or Dare at juliaklot.bandcamp.com. I began taking piano lessons when I was 6 years old. Around the time I turned 10, I started composing my own music. In September 2012, I released Memory Lane, my first EP. Memory Lane features the first song I ever wrote, Shine, and three other songs. Not Getting Anywhere is a song about self-doubt and how life is not always easy. Excited about moving on to middle school, Goodbye celebrates my elementary school relationships and expresses my feelings about transitioning to middle school. I performed Goodbye for the first time at my 5th grade elementary school graduation. These three songs were recorded and produced by Andrew Felluss at RedBird Studio in The Music Building in NYC and were released for my 12th birthday. Following the production of these three songs, I was invited into another studio to produce Memory Lane. This song was produced by Richard Priest who also provided the string accompaniment. After Memory Lane, I returned to RedBird Studio and began work arranging the songs for my self-titled CD. During this time, in November 2013, I recorded a ChristmasTime, a song that I had written a year earlier. This was released on the Radian Records imprint on December 20, 2013.